Current and future Arizona State University engineering students teamed up for a winning performance earlier this summer in an international robotics contest. Team 0x27 won a second-place award at the fifth annual SparkFun Autonomous Vehicle Competition in Boulder, Colo. Eighty teams participated in various categories of the competition. The squad members were: Erica Neuperger, a mechanical engineering major in ASU’s Ira A. Fulton Schools of Engineering; her brother, Alex Neuperger, an incoming ASU freshman engineering major; Marcus Schaller, a junior at Highland High School in Gilbert, Ariz.; and Ronald Chao, a senior at the same school. They were mentored by professional electrical engineers Frank Neuperger and Russell Schaller, computer scientist James Cotter and ASU electrical engineering graduate student Borna Emami. Cotter and Emami are alumni of Team 0x27’s past competitions. The SparkFun competition requires teams to build a vehicle that can drive itself through a course without human control or interference. Team 0x27 won its award for the performance on the course by its all-wheel-drive vehicle with an electric motor. “Others had big powerful cars as well. The difference was the accuracy of our navigation system and the control software that guided the car,” Frank Neuperger says. 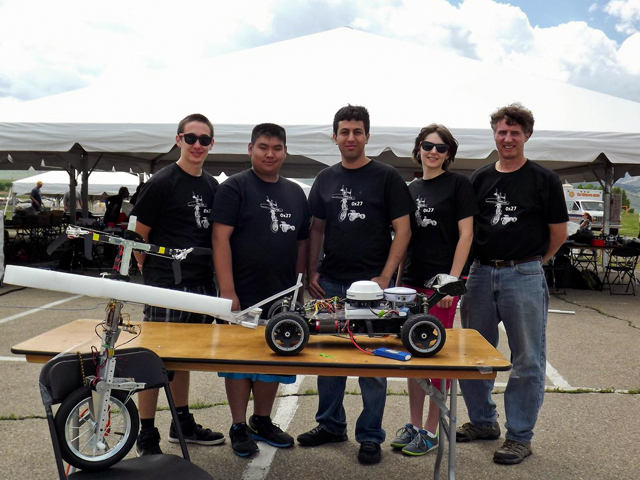 The team designed and fabricated its vehicle, including components of its electronics system. The vehicle was a revamped version of the robotic car Team 0X27 used to in the 2012 SparkFun AVC competition, when the car was the top performer, completing the course in half the time of the other cars – even beating the speed of an aircraft on the same course for the first time in the SparkFun competition history. “Our vehicle was uniquely equipped with an accurate differential GPS (global positioning) service from a company called OmniSTAR,” Erica Neuperger explains. The system allowed for differential GPS corrections from OmniSTAR’s satellite and doubled the accuracy of last year’s system. “We also used an advanced GPS receiver we got from our sponsor, Hemisphere GPS,” Alex Neuperger said. This GPS receiver allowed for accuracy in small movements, such as avoiding obstacles, maneuvering through a small hoop and hitting a ramp with all four wheels down to avoid a rollover. The category of the competition in which Team 0x27 won its award is open to both student competitors and professionals. Vehicles are required to maneuver on their own through an obstacle course, dodging obstacles such as 45-gallon drums, driving through a hoop and jumping off a ramp. After a shaky start, the team rallied for a classic come-from-behind victory. Despite a score of zero after the first run, then temporarily losing the vehicle’s memory card and processor in the grass, and then having to modify the vehicle’s coding, on its second run Team 0x27’s robotic car scored all the points possible and ran the fastest time of the competition. The result was the highest total of points awarded for any heat at the event. After adding the cumulative score of the three heats, Team 0x27 came in second to a team called NetBurner, led by Paul Breed, a prominent engineer in the rocketry field. The competition is intended to mimic the stresses of creating and developing a small startup technology company, Frank Neuperger says. That means working with little time, little money, few resources or a lack of information, and a lot of trial and error. Team 0x27 faced many of those challenges as they worked 16-hour days leading up to the competition. The team had planned to enter a second vehicle – a unicycle called UniCyclone – in the non-traditional vehicle category. Unfortunately, the unicycle developed structural problems two days before the competition and the team chose to abandon the unicycle so that it could focus more energy on its robotic car. “Ninety-eight percent of our time preparing for the competition was spent on the unicycle, so it was a painful decision. But we hope to get it up and running for next year,” Frank Neuperger says. The unicycle was based on the final project of a graduate-level digital control systems course at ASU that team mentor Borna Emami and Erica Neuperger took. They designed a unique control system for a unicycle prototype that used a helicopter tail rotor to stabilize the side-to-side motion of the unicycle. Team 0x27 enhanced the prototype by adding a second helicopter rotor to aid steering, upgrading the drive motors and by adding precision GPS navigation and crash-protection features to protect the precision components in case of a mishap. Experiencing the SparkFun competition has made Alex Neuperger eager to start his first semester studying engineering at ASU. Team mentor Emami, a past member of Team 0x27, currently works as a control systems engineering intern at the National Aeronautics and Space Administration’s Ames Research Center in Mountain View, Calif. The roots of Team 0x27 were formed in 2008 after students and mentors from Highland High School in Gilbert had earlier formed Team 39 to enter a FIRST Robotics Competition. FIRST (For Inspiration and Recognition of Science and Technology) is an educational organization that sponsors student robotics competitions throughout the world. Team 39 won four FIRST Robotics state championships, from 2007-2009, with a squad the included some current Team 0x27 members. The group later became Team 0x27 to differentiate themselves from their high school team as they began competing in summer competitions. The name 0x27 honors the group’s roots. It’s derived from the way computer programmers and engineers would express the hexadecimal equivalent of 39. With some of the same members, Team 0x27 also won the 2009 and 2010 National Underwater Robotics Competition. In addition to their technical efforts, team members have worked to get sponsors to support their endeavors. Current sponsors include Simrex Corporation (based in Buffalo, N.Y.), Hemisphere GPS (Scottsdale, Ariz.), KVH Industries (Middletown, R.I.), Ramtech-RC (Phoenix) and OmniSTAR. Frank Neuperger is the founder and owner of SIMREX Corporation. He also helped found SATLOC Inc, the company that later spun off Hemisphere GPS. Simrex also provides internships for many of the robotics club members and alumni. 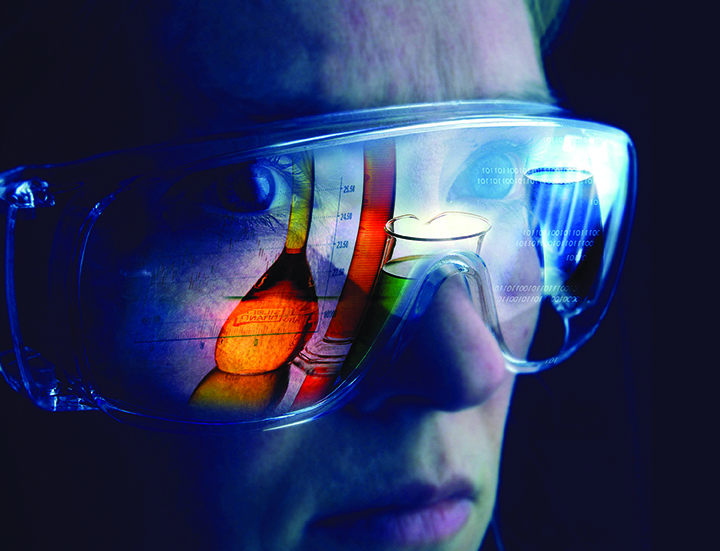 Others have made important contributions to the team’s successes at SparkFun competitions. The team continues to use planning software developed in large part by current team mentor James Cotter when he was studying to earn his 2012 degree in computer systems engineering through ASU’s School of Computing, Informatics, and Decision Systems Engineering. Other significant contributors have been Geoff Clark, a recent graduate who focused on robotics in earning a bachelor’s degree through the engineering program in the College of Technology and Innovation (CTI) at ASU’s Polytechnic campus, and Jeff Rojo, who is pursuing his undergraduate degree in the same CTI program, and also focusing on robotics. “Most past team members are still considered current, since we conscript them as needed for the various challenges we undertake,” Frank Neuperger says.